Smart, ethereal and visually stunning. Like the original, a decade from now, we will all look back and realize just how great this sequel was. Speaking of visually stunning the cinematography done by Roger Deakins, I have this to say. GIVE. THIS. MAN. A. BLOODY. OSCAR. A well-crafted, visually-stunning follow-up to what many consider one of, if not the greatest, sci-fi films of all time. That's a hard act to follow, but Denis Villeneuve obviously has great respect for the original, and it shows. A film that is both haunting and epic in its scale. The pacing is a bit slow and some big names get little more than a cameo (I wanted more Lennie James! ), but, overall, this thinking-man's sci-fi is a worthy followup. One of the most outstanding film sequels in some time, Denis Vileneuve does the impossible and expands the world building & storytelling possibilities of a cult favorite that prided itself as a stand-alone film for years. Thirty years after the original BLADE RUNNER, a replicant officer named K (Gosling) excels as the successor to fugitive Rick Deckard (Ford). Only during a routine mission, he uncovers a relic from the past that makes him a target of the immeasurably powerful tycoon Wallace (Leto), sleazy opportunists, zealous fanatics, and corrupt bureaucrats everywhere. 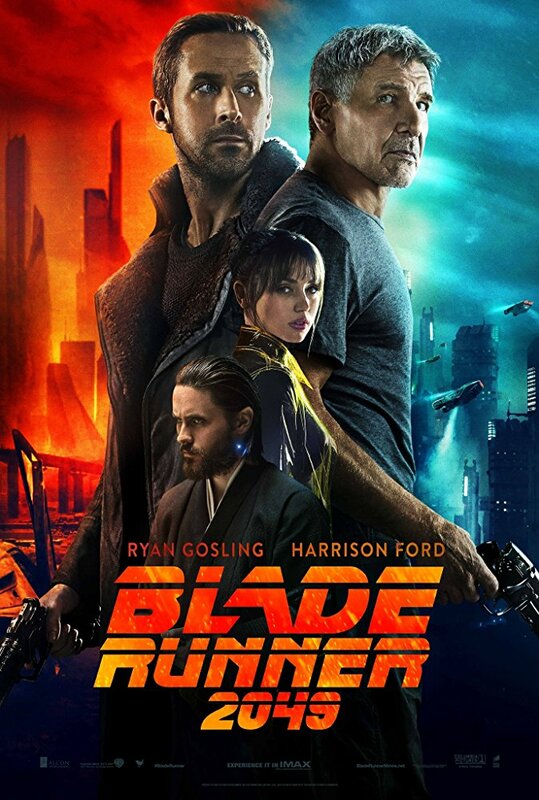 Blade runner K is tasked with finding and retiring a fellow replicant, but during the course of his investigation he uncovers a plot to hide a secret that could potentially undermine the entire fabric of their society. "Pain reminds you the joy you felt was real". Wow! WOW WOW WOW WOW WOW WOW! And another WOW! "Blade Runner 2049" is a fantastic follow up to the first and fixes a lot of the issues people had with the 1982 film. Without any director or extended cut. It's everything a sequel should do. Hell, you can watch this without watching the first and wouldn't get lost. Something "Force Awakes", "Jurassic World", and "Finding Dory" should take notes on. This is the type of film that will inspire young film makers out there to pick up a camera and make art. It's that great. No posts have been made on this movie yet. Be the first to start talking about Blade Runner 2049!